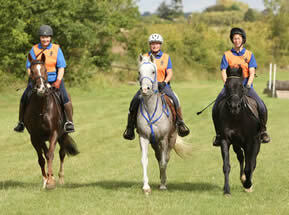 A team squad of between 3 & 6 riders is required to successfully complete at least one 20 mile qualifier in order to enter the final. Each riding club may enter more than one squad if they wish. Anyone interested in taking part or requiring more information please contact Pat Guerin. You can also help Pat by completing the Team Application Form.